Clay’s Regan Osborn takes the ball to the hoop against South Webster. Clay’s Hunnter Adams looks for an open teammate on Monday evening against South Webster. South Webster’s Avery Zempter shoots a three-pointer against Clay on Monday evening. South Webster’s Karli Montgomery dribbles up the floor against Clay. South Webster’s Ellie Jo Johnson moves up the court against Clay. ROSEMOUNT — When tournament play commences, it’s important to have your defense in a strong rhythm as the action turns into one of the go-or-go home variety. And if Monday’s regular season affair between the South Webster Jeeps’ girls basketball program and the Clay Panthers’ girls basketball program was any indication, it is certainly clear that the memo, especially on the South Webster side, has been well-received. After both teams battled through physical play en route to a tight 26-17 South Webster lead at halftime, the Lady Jeeps proceeded to turn the tight affair into a runaway as the Lady Jeeps held Clay scoreless over the first 3:07 of the third quarter and over the first 3:44 of the fourth period, with Ellie Jo Johnson adding 15 of her 28 points between the stretches to help extend the South Webster advantage. 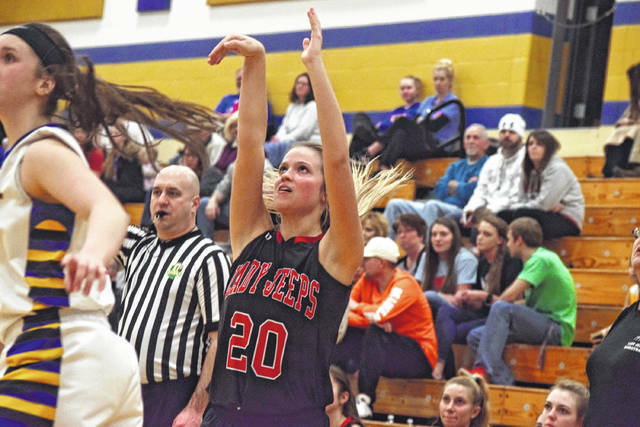 The defense, along with Johnson’s 13 third-quarter points, proved to be big in a 63-32 victory for the Lady Jeeps over the Lady Panthers in a nonconference battle between two Division IV programs on Monday evening in Rosemount in what was Senior Night for Clay. For Kristie Johnson, Monday evening’s affair was certainly fun to watch from her standpoint as South Webster achieved numerous game-by-game goals during the contest while continuing to show the improvement that has been starting to show since the latter half of January. As for Sthefany Thomas’ group, it was simply a struggle to finish off possessions with a basket, as Clay’s 10-of-52 mark from the field (19 percent) and 1-of-16 performance from deep would suggest. 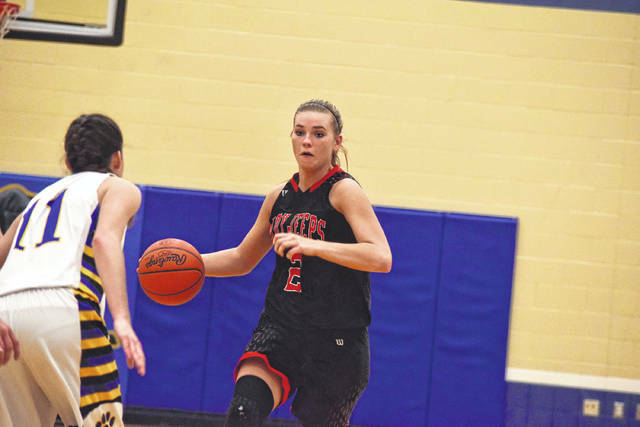 While Johnson’s scoring ability proved to be big from the outset for South Webster, the play of Kaylee Hadinger and Rose Stephens in the backcourt on both ends was the difference for the Lady Jeeps early on. Hadinger’s ability to penetrate into the lane with quickness and Stephens’ work on the defensive end allowed South Webster to establish a 10-4 lead with just under three minutes to play in the opening quarter of action. Hadinger ultimately finished with 10 points, six rebounds, two assists, and three steals over the course of the affair. However, Warnock used her low-post abilities and straight-line driving to open up opportunities for herself toward the end of the quarter. Warnock, as a matter of fact, was able to obtain five of her nine points in the opening quarter of action as Clay closed to within 15-9 at the end of the frame, and made an impact in other areas throughout the affair en route to adding seven points, three blocks, and three assists over the course of the evening. 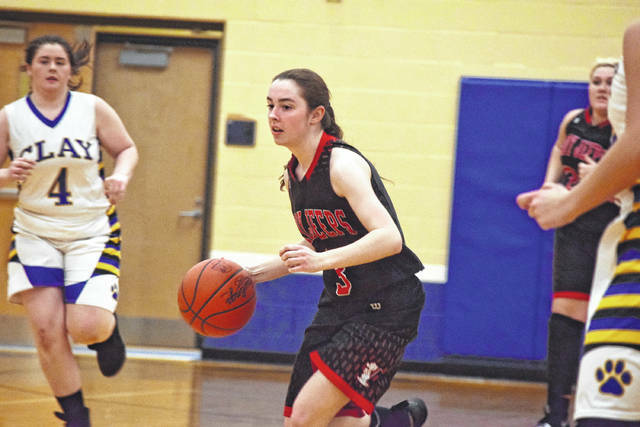 After Hadinger scored the opening basket of the second quarter, both units fought and battled as the lead stayed between six to 10 points over the majority of the frame for South Webster. However, when Johnson nailed three of her four free throws — including the second of two shots from the charity stripe with 3.4 seconds to play in the opening half — the Lady Jeeps left Regan Osborn wide-open at halfcourt on the ensuing inbound by Clay. Osborn caught the ball, alertly drove right to the rim en route to drawing a foul as time expired, and nailed the fifth and sixth free throws of the half for the senior as she posted a perfect shooting percentage from the free throw line for the game en route to an 11-point outing. Osborn’s six first-half points — all from the stripe —allowed Clay to cut South Webster’s lead to single-digits, 26-17, at halftime as the senior ultimately finished with a team-high 11 points and tied for the team lead with seven rebounds for the contest. But while Clay seemingly made a play that could’ve changed the momentum of the affair, South Webster proceeded to reject that notion right away as the second half of play commenced as its overall depth began to take over. Behind a three from Johnson on the first offensive possession of the second half, the Lady Jeeps proceeded to go on a blistering 11-1 spurt that proceeded to change the complexion of the game. During the run — which featured strong defensive play from South Webster at every position — Karli and Kelsi Montgomery really stood out, with the former obtaining two steals, two assists, and a rebound during the stretch and the latter using her quickness to sneak past defenders en route to setting up scores. When Clay struck the scoreboard on a free throw from Warnock, Avery Zempter — who put up six points, three rebounds, two assists, and a steal — knocked down an open jumper from the left wing to extend the lead to 37-18 with 4:42 to play. 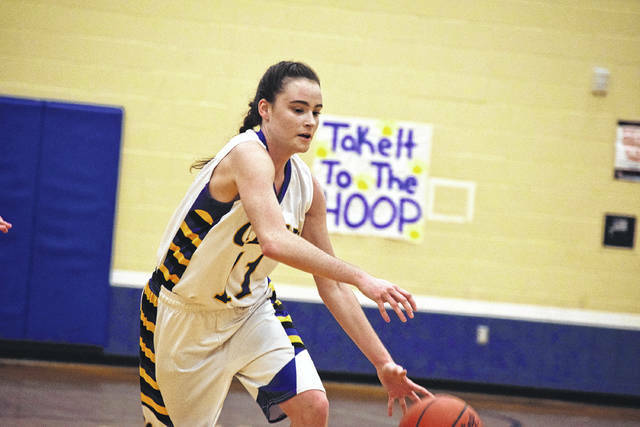 When Clay closed the margin to a 39-26 count on a three-pointer from Osborn with less than three minutes to go, Johnson proceeded to use her size and length to take the game over. 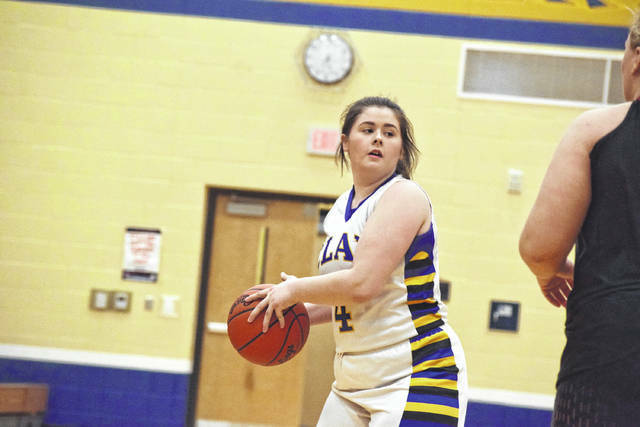 In fact, the senior point forward ultimately scored each of South Webster’s final eight points in the third quarter of play en route to a 13-point third quarter. Her 28 points and 12 rebounds, along with Madison Cook’s 15 rebounds, seven assists, and four points and Baylee Cox’s 11 points, allowed the Lady Jeeps to close out the affair on a 24-6 run as the trio combined for 22 points during the spurt. With the victory, South Webster finished its campaign with a solid 12-7 showing in the regular season, while Clay dropped to 14-7 with the loss. But even in defeat, Thomas is keeping things in perspective — especially considering the kind of senior class that she has as a first-year coach in addition to Regan Osborn.